Please, help support Green Halloween and Green America and spread the Green this Halloween! Share this event with your social media network! The more individuals and groups we have involved, the better our great ideas will spread! Green Halloween is a non-profit, grassroots community initiative to create healthier and more Earth-friendly holidays, starting with Halloween. It began in the Seattle area in 2007 with backers such as Whole Foods Market and was such a huge success that in 2008, the initiative expanded nation-wide. In cities across the country, volunteer coordinators are turning their city’s Halloween holiday healthy and eco-friendly, but many are also raising money for their own, local nonprofit beneficiaries via the initiative. Green Halloween, as of 2012, is a program of Green America. Green America is a not-for-profit membership organization founded in 1982. Our mission is to harness economic power—the strength of consumers, investors, businesses, and the marketplace—to create a socially just and environmentally sustainable society. We work for a world where all people have enough, where all communities are healthy and safe, and where the bounty of the Earth is preserved for all the generations to come. Hint: You may find it easiest to use a (free) program such as Hootsuite or TweetDeck to participate. New to twitter parties? Do a quick Internet search for “how to participate in a Twitter party” and you’ll find dozens of tutorials. *RSVP by adding your Twitter handle in a comment below to be eligible to win prizes! 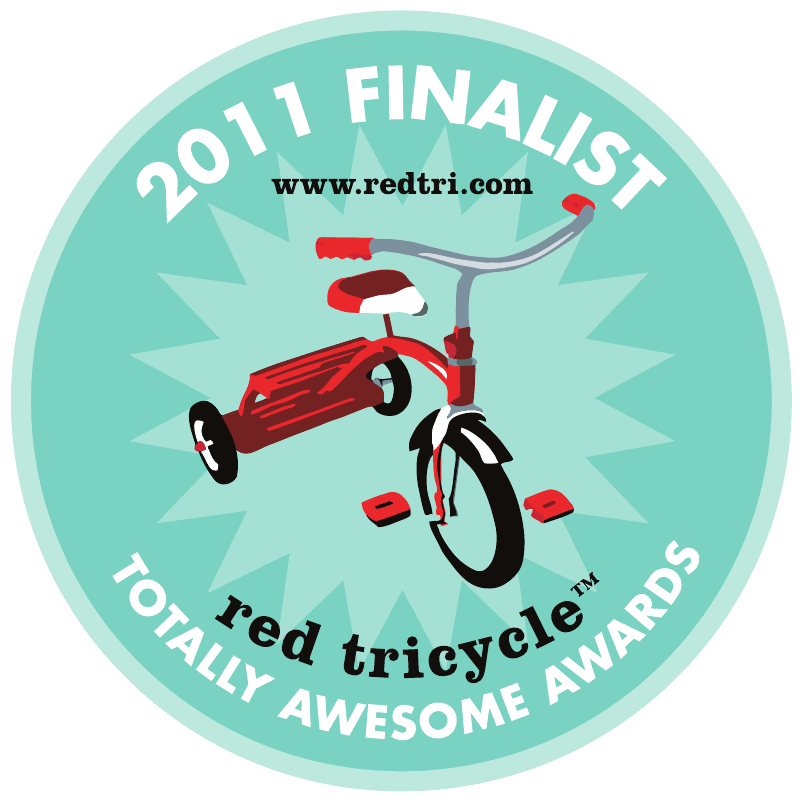 Prize partners: Honest Tea, Kiwi magazine, Nature’s Path, Stretch Island Fruit, Revolution Foods, Angell Bar, Celebrate Green! & Lunchbots. And check out our events page for more virtual and real-live events from now through Halloween! National #CostumeSwap Day Twitter party! Save money, reduce waste & have F-U-N.
RSVP by adding your Twitter handle in a comment and enter to win great, green prizes*! *One entry per Twitter Handle. Most prizes will ship only to Continental U.S.; some may ship to Canada. If you are unable to accept the prize, another winner will be chosen. National Costume Swap Day™ is a partnership of Green Halloween®, Swap.com & Kiwi magazine. National Costume Swap Day is celebrate the second Saturday in October each year – in 2011, on October 8th. To find a swap near you, visit www.CostumeSwapDay.com. And check out our events page for more virtual and real-live events from now through Halloween, including a #GreenHalloween Twitter party on 10/13/11! 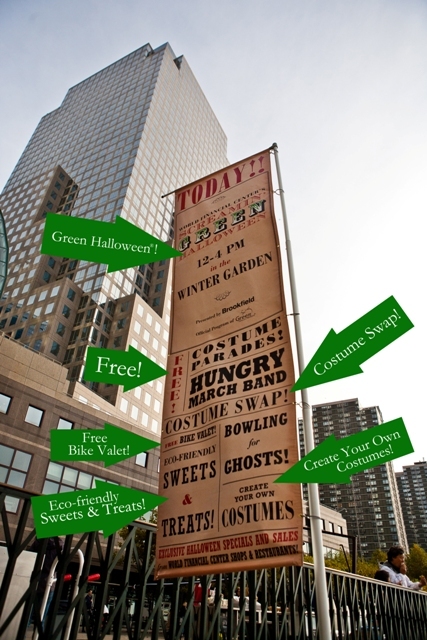 2010′s Green Halloween in NYC was a screamin’ success! “Screamin’ Green Halloween” was hosted by Brookfield Office Properties at the World Financial Center in the Big Apple. Eek-o-fabulous fun was had by all (6,000 guests in just 4 hours!) with recycled art, a costume swap, poetry reading, marching band, healthy/green goodies and more. Here are a few of the fab photos (by photographer Andrew Federman) for more, click here. And check out this HUGE promotion banner hanging for all to see! 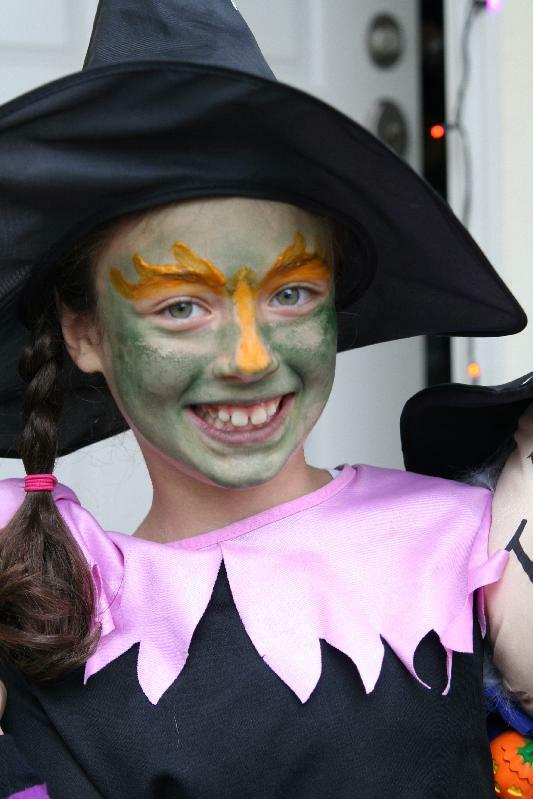 Event description: Green your Halloween at the World Financial Center! Join artist-educators for mask and costume making with funky recycled and repurposed materials, compete with other witches and warlocks in “Put a Spider in the Brew”, “Bowling for Ghosts” and a twist on the traditional “Bobbing for Apples,” and enjoy organic and fair-trade candy treats. Exchange last year’s costume for a new one at the Costume Swap, each gently used and ready-to-wear. Mini parades led by the Hungry March Band will take place on the Plaza at 1, 2 and 3pm, and the day ends with a Ghosts & Goblins Parade to Poets House for a reading of spooky poems and seasonal snacks. Ride your bike to the event! Free valet bicycle parking provided by Transportation Alternatives. 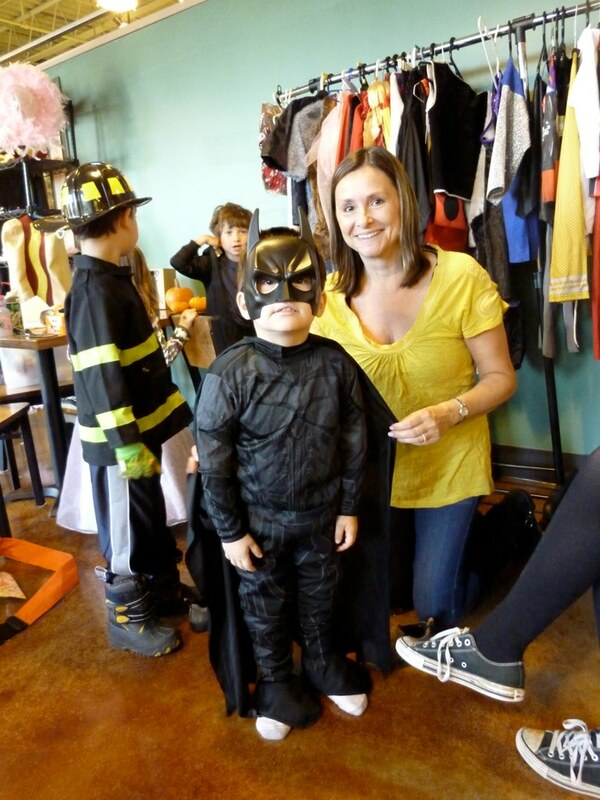 Green Halloween® is a nationwide non-profit initiative started by mother-daughter team Corey Colwell-Lipson and Lynn Colwell. In 2010, Green Halloween became a program of EcoMom® Alliance and has events in cities across the U.S.
National Costume Swap Day was featured on Q13 (FOX) in Seattle! Thanks so much to Macaroni Kid (Snoqualamie Valley) and friends for helping us to get up this “mock swap” for the shoot. Watch the video above, and click here for the whole story. Have photos or video from your costume swap? Send them to us via e-mail and we just might feature you on GreenHalloween.org!